Follow Wally Berg and Jussi Westergren as they climb to the top of the America. 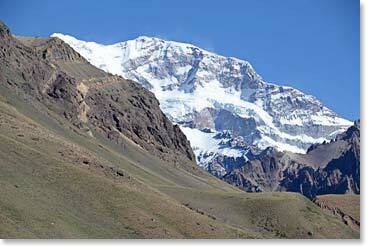 At 22,841ft/6962m, Aconcagua is the highest mountain outside of Central Asia and is one of the glorious “Seven Summits”. The mountain can be a rigorous and rewarding introduction to the demands of expedition climbing. Cold nights, high winds and heavy packs are just a few of the hardships our team will endure, but luckily they’ve got strong wills, good health, fantastic company and a talented cook to get them through.